The weekend includes great roots music from some of the area’s best bands. Friday, Aug. 21, 9 p.m. Cryin’ Heart takes the stage at Harney Street Tavern, for a free show. Cryin’ Heart brings back the name that rhythm section Dave Wagner and Gary Williams performed under in the 1990s, with Tim Budig on guitar and vocals and Mike Wheeler also on guitar. Cryin’ Heart is basically The Geezers with Wheeler taking up the vacancy left by Harvey Brindell’s retirement to Portland, Ore. See cryinheartband.com. The group plays a good mix of traditional and rockin’ blues with influences from Chicago and Texas tradations. The band always causes a stir with the Harney Street’s diverse crowd. It’s great to see the young club-goers appreciating some straight-up, guitar-driven blues. Tijuana Gigolos’ Tony Meza celebrates his 50th birthday with a Zoo Bar Gigolos’ show Saturday, Aug. 22. There’ll be food at 4:30 p.m and music starts at 6 p.m. Tony’s birthday is practically a national holiday at the Zoo Bar. It will be a roots-rockin’ good time and admission is free. Pace yourself and stay late for the impressive jazz of the Luke Polipnick Trio featuring Dana Murray and Mitch Towne. Next Wednesday,Aug. 26, blues-rock guitarist James Armstrong is featured 6-9 p.m. New Orleans’ Andrew Duhon plays the late show. Mark your calendars for Saturday, Sept. 19, when In the Market for The Blues takes over the Harney Street Tavern and The Hive. Hector Anchondo Band and E3 Music Management have teamed up to create this pub-crawl festival that brings blues back to the Old Market. Many of us remember the old Howard Street Tavern, which hosted live blues for many years, as well as other venues like The Stork Club and the Jones Street Brewery that regularly presented live roots music in the Market. In the Market for The Blues runs 3 p.m.-12:30 a.m. with a bargain wristband charge of $5. Harney Street Tavern hosts Matt Cox, Nita & The Pipe Smokin’ Charlies and Swamp Boy. Closing out the night is Hector Anchondo Band who are the 2014 Nebraska Blues Challenge Winners and who made it to the 2015 International Blues Challenge Semi Finals, which means they made the cut from over 200 bands down to about 50 in the Memphis band competition. Scheduled for The Hive Rock Club & Art Gallery are Amanda Rey (Fayetteville Arkansas 2015 International Blues Challenge Contestant), 40SINNERS, Cleveland Blue (2011 & 2014 IBC Finilist) and Lauren Anderson (Kansas City Missouri). Follow updates on the event at Facebook.com/InTheMarketForBlues. The Blues Society of Omaha hosts the fifth annual Nebraska Blues Challenge in September and October. preliminary round Dates: Sept. 13, Sept 20 and Sept. 27 as well as at the final to be held Oct. 11.The top three bands from the preliminary rounds advance to the finals. Judging is based on the criteria used by the Blues Foundation’s International Blues Challenge. The band receiving the most points at the end of the final round goes on to represent the Blues Society of Omaha in the International Blues Challeng in Memphis January 26-30, 2016. Email nebraskablueschallenge@gmail.com to obtain registration forms and all other specific rules and information. Bands can also contact Michelle Olmstead, event organizer, 402-658-5737. Previous winnners of the Nebraka Blues Challenge are Hector Anchondo Band, Josh Hoyer & The Shadowboxers, Levi William Band and Shawn Holt’s Lil’ Sim Blues Band. Find out more about the Blues Society of Omaha at omahablues.com. 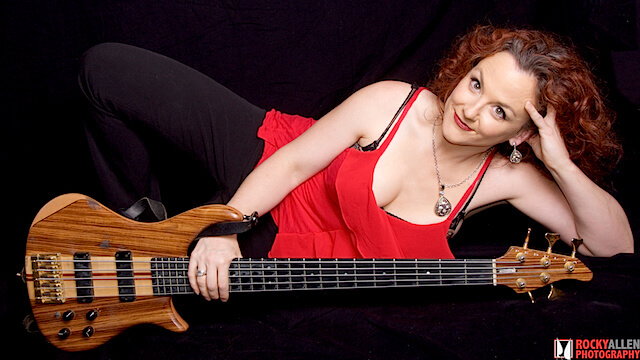 Blues at The 21st Saloon continues with Pacific Northwest band Polly O’Keary & The Rhythm Method Thursday, Aug. 27 6-9 p.m. O’Keary was seen locally for several years as the expressive bassist in Too Slim & The Taildraggers. She has been an accomplished musician and bandleader in her own right for years before joining Too Sim. She is a veteran winner of Washintgon State Blues Society awards and a fan favorite. See pollyokeary.com. Remember the clock is ticking on the nomination period for this year’s Omaha Entertainment & Arts Awards. Nominations are decided by public vote along with input from local experts. Go to oea,awards.com before Aug. 31, or send your fans there. Votes are limited to one vote per person so bands and other performers need to mobilize your fan base. He wasn’t a bluesman but Alan Mansfield was a beloved member of the Omaha music scene, best known as a guitarist for the band Witness Tree. He lost his battle with cancer July 30. His friends join with Reverb Lounge to host A Celebration of Alan Mansfield Friday, Aug. 28, 8 p.m. Performing are RAF, Bullet Proof Hearts, Matt Whipkey, Mother Molly & The May I’s, A Fight Within the Mastersleep and Lift Ticket. Tickets are $10 and available at etix.com. Proceeds from this night will go to the Mansfield family. Folk-Americana singer-songwriter Una Walkenhorst hails from Kansas City, the daughter of Rainmakers’ lead singer Bob Walkenhorst. Una is out on tour and hits the Barley Street Tavern next Friday, Aug. 28, with Blakk Mantra, Garfan and Altura. See Facebook.com/unawalkenhorst.music. Just announced shows include Louisiana favorite Tab Benoit Monday, Sept. 21, 7 p.m., at Lincoln’s Bourbon Theatre with Kris Lager Band opening. Coming December 6, the legendaryStax artist Booker T is scheduled for the Bourbon with openers Josh Hoyer & Soul Colossol. Tickets for this show go on sale Friday, Aug. 21, and include a special meet-and-greet-party ticket option. For more information on both shows see bourbontheatre.com. Josh Hoyer & Soul Colossol have a rare series of local shows at the end of August, including a gig Thursday, Aug. 27, 8 p.m. at Slowdown. They share the bill with new Omaha soul and horn band Sam Ayer & The Love Affair. Shoot, check out their video at facebook.com/samayermusic. This looks like a fabulous night of corn-fed, real-deal soul-R&B-blues double-bill. Pssssst. I won’t let you forget that Hoodoo favorite and remarkable crooner and jump-blues-jazz-roots bandleader Johnny Boyd has one Omaha show Tuesday, Sept. 8, 8 p.m., as part of his six-city Midwest tour. Boyd fronted the iconic swing revival band Indigo Swing and now leads an impeccable and joy-inducing ensemble based in Portland, Ore. See johnnyboyd.com.